Welcome to the Acoustical Solutions Career Center! 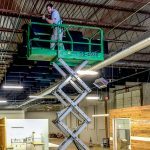 Acoustical Solutions is an exciting, rapidly growing company looking for good people to join our team. 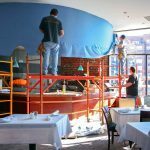 As a leading supplier of acoustical products and services, we help the environments inside restaurants, offices, schools, and churches “sound better” by reducing echo or blocking noise. We are looking for new team members who are motivated to work hard and succeed in a team-oriented environment. Join our team today!